Disclosure: This post was brought to you by Skim Plus Milk. All opinions are my own. 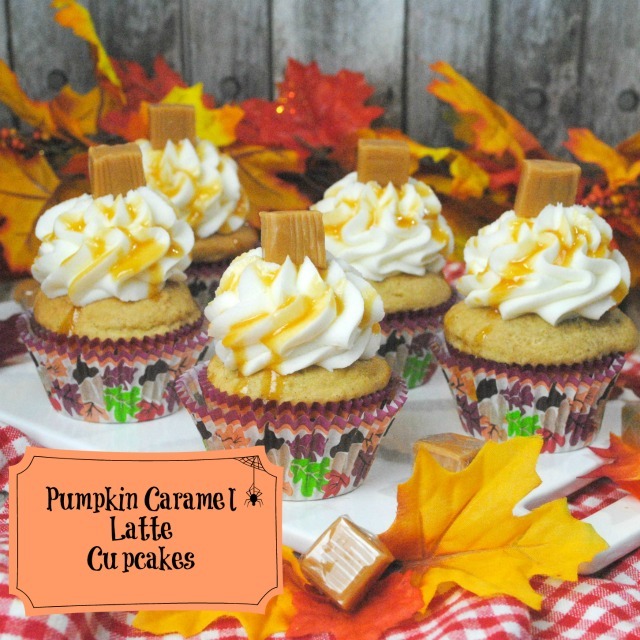 Get your pumpkin spice fix with these delicious Pumpkin Caramel Latte Cupcakes! I’ve been a fan of pumpkin before it was trendy, and use to use it in baking often with my students. These Pumpkin Caramel Latte Cupcakes are sure to satisfy that seasonal sweet-tooth and they are fun to make with the kids. The bit of caramel candy on top is more than just “icing on the cake” and a perfect pairing with these delicious treats. You can use any brand of ingredients you want, but I decided to lighten up the frosting a bit with Skim Plus Milk. 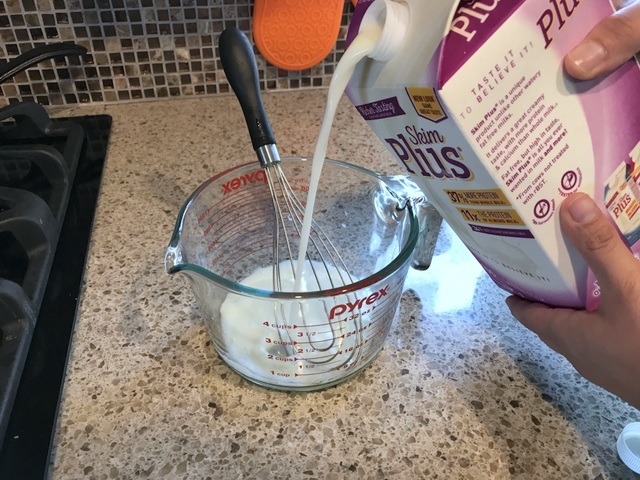 I’ve used it in recipes in the past and love how it maintains its creamy consistency even though it is skim milk. 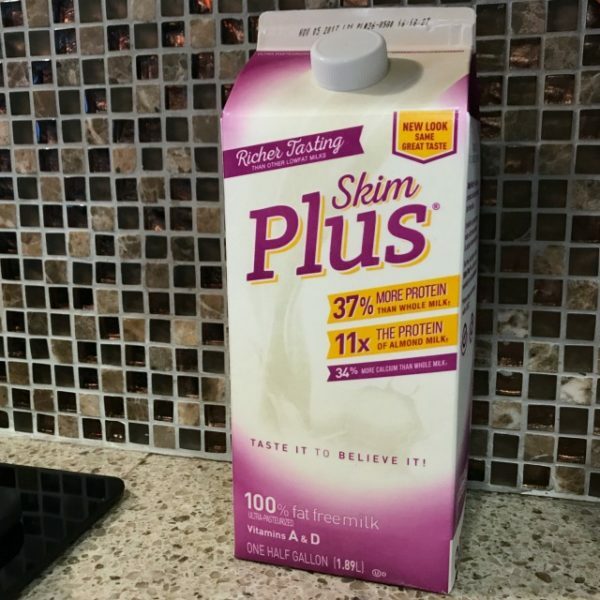 Skim Plus milk also adds more protein (11 grams!) and calcium (more than regular milk!) to your recipes. Preheat oven to 350 degrees. Line your cupcake pan with paper liners. Whisk the flour, instant coffee, baking powder, baking soda, salt, cinnamon, nutmeg and cloves together. Now in another bowl, blend the pumpkin, sugar(both white and brown), and the vegetable oil until thoroughly mixed. Add the eggs, one at a time, beating after each addition. Start adding in the flour mixture one half at a time and blending in after each addition. Spoon the batter into the lined baking cups, filling each about two-thirds full. Bake at 350 degrees for 18 to 22 minutes. Remove from the oven but allow the cupcakes to cool in the cupcake pan for about 10 minutes, then transfer them to a wire rack to cool completely. Add the to a medium size saucepan. Melt the butter on medium heat. Add the brown sugar bringing it to a boil while stirring. Slowly pour in Skim Plus milk continuing to stir until it comes to a boil. Set aside to cool. Transfer this mixture to a mixing bowl. Add spoonfuls of powdered sugar to the mixture a little at a time, mixing after each addition. If the frosting is too thin add a tablespoon or two of powdered sugar at a time until it thickens. Scoop the frosting into a pastry bag with a #13 size tip. Twist the open end of the pastry bag to push the frosting to the tip. Starting at the outer edge of the cooled cupcake frosting in a circle reaching to the center of the cupcake. Drizzle caramel topping on the frosted cupcake and place a caramel in the center.